The iconic dancer and former prima ballerina – Sylvie Guillem, or Mademoiselle Non – will bow out from her career following a final UK tour of her production Life in Progress. In addition to the previously announced international tour, Sadler’s Wells will present the world renowned Guillem’s final dance programme at the London Coliseum, Edinburgh International Festival and Birmingham Hippodrome. Guillem will also be honoured with an Olivier Award ahead of her retirement, however it is rare that dancers stop dancing completely following announcements of this type. The newly announced UK dates follow Guillem’s final performances at Sadler’s Wells, from 26–31 May 2015, where she has been an Associate Artist since 2006 and where she announced her retirement, from the stage in November 2014. Life in Progress receives its world premiere in Modena on 31 March 2015, and the final performance is in Tokyo in December 2015. In terms of her Olivier award, Guillem is the recipient of a special award at this year’s Oliviers, celebrating her achievements over the course of her career. Life in Progress features both existing and new works by choreographers who have influenced her contemporary career. Guillem will perform a pas de deux with Italian dancer Emanuela Montanari from La Scala, choreographed and directed by Russell Maliphant with lighting by Michael Hulls. In the piece, Here & After, Maliphant acknowledges his past works and experiences with Guillem whilst moving on and exploring a vocabulary that shows contrast, with a female duet partnership. Existing works that feature are Mats Ek’s touching and poignant solo, Bye, which was made for Guillem, and William Forsythe’s Duo (performed by two male dancers), which premiered in 1996. Guillem began training at the Paris Opera Ballet School aged 11, and has since performed all the leading roles of classical repertoire with companies including the Royal Ballet, Paris Opera Ballet, Kirov, Tokyo Ballet, Australian Ballet, American Ballet Theatre and La Scala, ahead of her contemporary career. The nominations for the 2015 Olivier Awards have recently been announced, following a year of the Olivier panel viewing huge numbers of performances across the board. The nominees for outstanding achievement in dance are Sadler’s Wells’ Associate Artist Crystal Pite for her choreography in The Associates, The Tempest Replica and Polaris – also at Sadler’s Wells – Christopher Wheeldon for The Winter’s Tale at the Royal Opera House, Rocío Molina for Bosque Ardora at the Barbican and The Elders Project, part of the Elixir Festival, also performed at Sadler’s Wells. The Elders Project, one of its kind, is a deserved nominee, having brought ex-professional dancers back to the stage in a special performance. The nominees for best new dance production are Peeping Tom’s 32 rue Vandenbranden at the Barbican, Mats Ek’s Juliet and Romeo at Sadler’s Wells and James Thierrée’s Tabac Rouge at Sadler’s Wells. Here there are a mixture of nominees, with Mats Ek the only name with a huge grounding of history in contemporary dance. In the best theatre choreographer category, the nominees are Jerry Mitchell for Dirty Rotten Scoundrels The Musical, Annie-B Parsons for Here Lies Love, Josh Prince for Beautiful – The Carole King Musical and Sergio Trujillo for Memphis the Musical. These new musicals are demonstrative of the West End trend to keep theatres fresh, with a swift turnover of productions generally. Vincent Simone and Flavia Cacace’s Dance ‘Til Dawn and the vaudeville cabaret show La Soirée are also among the Olivier nominations, for Best Entertainment and Family category. Whilst the productions may not fully fit in this category, it is encouraging to see recognition of the promise of new work. The nominees for the This Morning audience award are Billy Elliot the Musical, Jersey Boys, Matilda The Musical and Wicked. For a full list of nominees, visit olivierawards.com. The Olivier Awards, the iconic award event which took place earlier this year, is due to take place on Sunday 13 April 2014 with MasterCard. The coveted statuettes – as well as one new award – will be awarded to the very best productions, performers and creatives in London’s Theatreland. Many may argue that the UK’s capital is the best in the world in terms of theatre, but with New York’s Broadway as a prime contender it’s a close call! The Olivier Awards ceremony is the most highly anticipated event in London’s theatre awards calendar. In 2014 the event will be held again in the iconic Royal Opera House for the third year running. It was announced than the 2014 Olivier Awards will see the introduction of a new award category, Outstanding Achievement In Music, in which the composition of original music for plays, orchestration, and musical supervision/direction will be recognised. With the Awards taking place earlier in the year than 2013, the 2014 ceremony enables shows opening up to 25 February to be eligible for one of the prizes. Other information about the 2014 Olivier Awards will be revealed early in the new year, however it is hoped that the 2014 event will still contain performances, loyalty and celebration. In 2013 each musical which was nominated for the Best New Musical Award put on a show-stopping performance to support their nomination for the star-studded award. Other highlights from the 2013 event of particular noted were performances by former Wicked star Idina Menzel and her Glee co-star Matthew Morrison, guest appearances from current West End stars Daniel Radcliffe and Kim Cattrall and the free Covent Garden Piazza extension of celebration. The Olivier Awards, organised by the Society of London Theatre, were presented at the Royal Opera House on Sunday in the celebration of talent that graces our theatrical stages. The Royal Ballet’s Aeternum was nominated, featuring Principal Marianela Nunez, who was also nominated for Outstanding Achievement in Dance. Also in this category was Scottish Ballet’s A Streetcar Named Desire, which picked up the National Dance Award for Best Classical Choreography earlier this year, and NDT2’s Cacti. ILL-Abilities Company, who will be performing as part of Breakin’ Convention’s 10th anniversary, Lez Brotherston for the set and costumes for New Adventures’ Sleeping Beauty, and Marianela Nunez for varied and fantastic performances in Aeternum, Diana & Actaeon and Viscera of The Royal Ballet were all nominated in this category. Earlier this year Nunez was also awarded the National Dance Award for Best Female Dancer. Bill Deamer for Top Hat, first-time Olivier Award nominee Scott Ambler for Chariots of Fire in his reinvention of the Olympic-inspired running scenes, double Olivier Award-winning Stephen Mear for Kiss Me, Kate, and Scott Graham and Steven Hoggett for The Curious Incident Of The Dog In The Night-Time, as part of Frantic Assembly, were all nominated for this category. The nominees for Best Musical Revival were A Chorus Line, Cabaret, Kiss Me, Kate and Sweeney Todd, and the nominees for the BBC Radio 2 Audience Award nominees were Billy Elliot, Matilda, Phantom of the Opera and Wicked. Following the nominations, the glittering event and red carpet saw the many winners acknowledged in their contribution to great theatre, with a few included below. Esteemed dancer, choreographer and now Vice-President of the Royal Academy of Dance Gillian Lynne is set to receive Special Awards at this year’s Society of London Theatre Olivier Awards in recognition of her immense contribution to theatre and the arts. 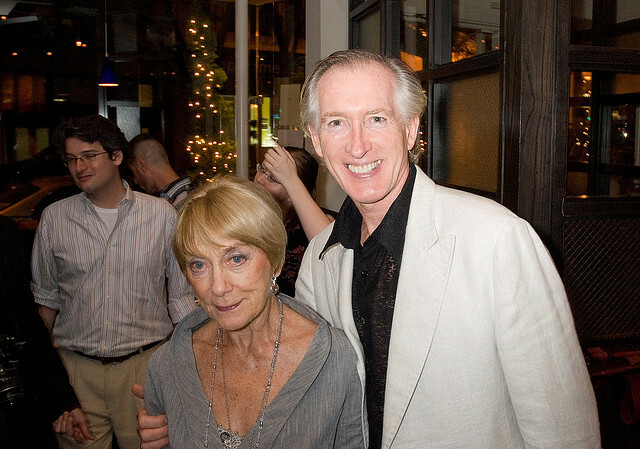 Gillian Lynne began her career as a ballet dancer before earning an international reputation for her innovative choreography and stage work throughout the performing arts industry, including choreographing Cats and The Phantom of the Opera. Cats the musical is set for revival later in 2013, and it looks as though Gillian Lynne’s achievements are not over yet, with many more years of creativity ahead. Beginning as a Royal Ballet dancer under Dame Ninette de Valois, Gillian Lynne has been a constant stream of creation throughout the arts. As a result the Society of London Theatre’s Olivier Awards has recognised the prolific work of Gillian Lynne, continuing to have a vital and lasting influence on the theatre and dance stages of the performing arts industry. It is therefore only fitting that this ambassador of British Theatre be recognised with the Special Award at this year’s ceremony. This year’s Olivier Awards, nominations for which were announced on 26 March 2013, take place at the Royal Opera House on Sunday 28 April, hosted by Hugh Bonneville and Sheridan Smith. The ceremony will be live on BBC Radio 2 from 6.30pm with a highlights package broadcast on ITV later in the evening. Some of the nominations are listed below.